Deep dish pizza. Chicago-style hot dogs. 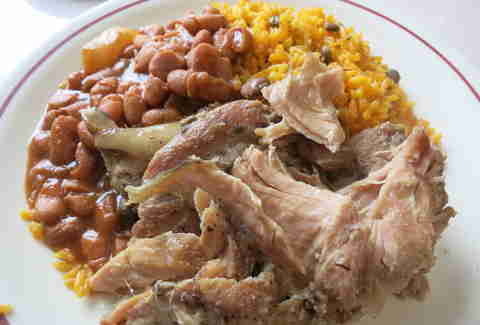 Authentic Puerto Rican food. Okay, Chicago may not be so well known for the last one -- but it should be. 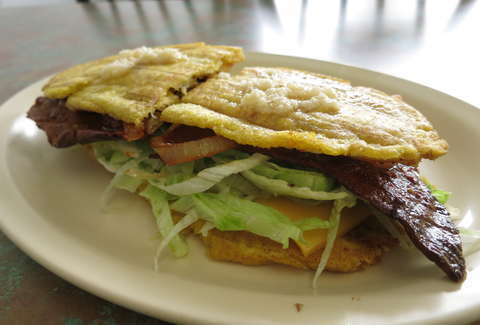 Since Chicago is home to one of largest communities of people of Puerto Rican descent in the entire nation, it’s time we take a closer look at the nine best places in town to indulge in the heavy comfort that is Puerto Rican cuisine. A cook from a popular Puerto Rican restaurant decided to branch out on her own with the opening of this Cragin jibartio shop. It's hard to get past the signature sandwich, which is made with perfect execution each and every time. Should you look past it, the snack case boasts all sorts of popular Puerto Rican street snacks, including empanadas, bacalaitos, and balls of papa rellana. The family behind this Mom-and-Pop BYOB joint has been serving the community for more than 20 years. During that time, they've pumped out nothing but honest, homestyle Puerto Rican cooking at more than fair prices. 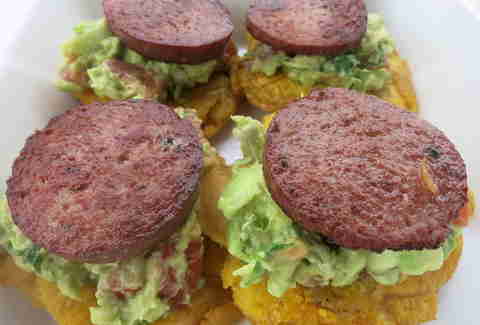 Known for near-perfect jibaritos as well as the popular appetizer gauchitos, the service here always come with a smile. You're pretty much a regular after one visit. This Logan Square favorite maintains a loyal following going back to its days as a trailer in Humboldt Park. 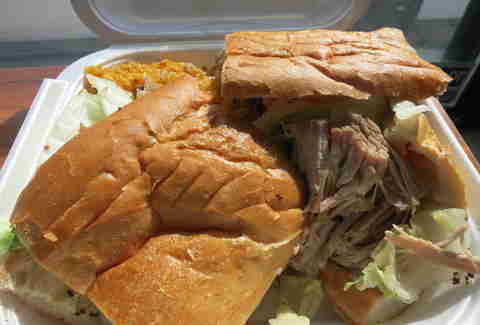 While it still sells all the great snacks that made it popular at the park, it now offers made-to-order items such as one of the city's best jibaritos and also some of the crunchiest fried pork in town. The cheap prices don’t hurt either. Papa has transformed many into regulars over the years. 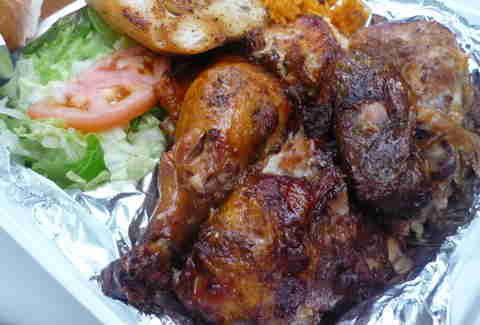 A longtime resident of the stretch of Division that crosses through Humboldt Park, Papa has devotees that come back for the roasted chicken alone. It's loaded with garlic on the inside and crispy golden skin on the outside -- now there's REALLY never a reason to get the rotisserie chicken offered at Jewel. 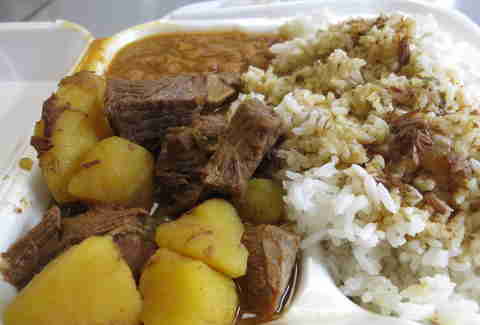 A sleeper for Puerto Rican food in Chicago, Diana's hides on a residential corner and doubles as a grocery. Walk to the back and place an order for some stick-to-your-ribs Puerto Rican perfection. The food's served cafeteria-style, and it's hard to go wrong with anything. 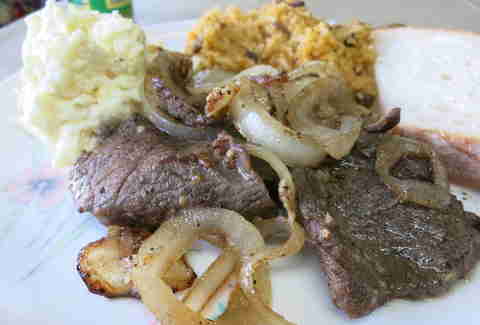 Each dish is composed of tender cuts of long-cooked meats and paired with top-notch yellow rice and peas or white rice and beans. Either way, you won’t be hungry the rest of the day. 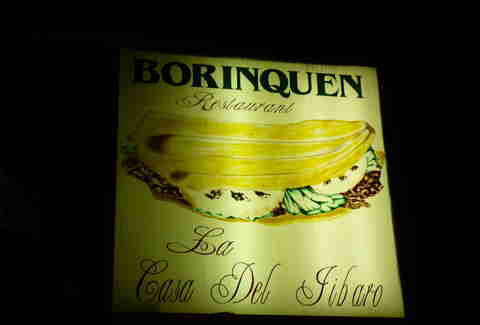 When the original Borinquen on California closed, it left a hole in Chicago's food scene. For a little while, the creator of the jibarito sandwich was no more -- but when it reopened, everyone came running back. If you haven't made it over since the reopening, it's still doing much of the same menu with the heavy flavors that so many in Chicago's Puerto Rican community delight in. "Good Food. Good Life." That's the saying that this cute little shop on Western goes by. And you get the vibe as soon as you step inside. Two things set it apart from most of the others on this list. The first being that almost all of the food is cooked to order, and the second is the selection of pastries and juices on offer. Both are made fresh, in-house so you can taste the love in everything offered. There's nothing but good vibes once you step inside this longtime cafeteria, which doubles as one of the city's oldest Puerto Rican restaurants, where they’re cranking out homestyle, local favorites such as mofongo and lechon. Regulars enjoy the mixta plates, which allow you to mix and match your meats with white rice and beans or yellow rice with pigeon peas. The food truck business isn't easy in Chicago, but the ladies behind this mobile Puerto Rican truck sure make it seem so. The recipes and flavors take me right back to my vacation on the island where I ate many of my meals from similar trucks. Start off with one of their mouthwatering empanadillas and finish off with whatever is on special/another one of their mouthwatering empanadillas. Just don't plan on getting much work done afterwards. Titus Ruscitti is a contributing writer for Thrillist. You can join him on his food travels throughout the cityscape and wherever else life takes him on his blog, where he's single-handedly tackled close to 1,000 food stops. Follow him @chibbqking.